In this fourth and final part of our interview with Nick Van Der Zweep we got some numbers that Virtualization at HP has grown over 80% last year and the claim that HP is ‘growing with VMware faster than VMware is growing in any industry’. HP has about half of the Blade market and Nick adds that ‘the connect rate of virtualization to Blade Servers is much heavier than just Standalone Rack Servers. Blades are just an absolute natural fit for virtualization’. 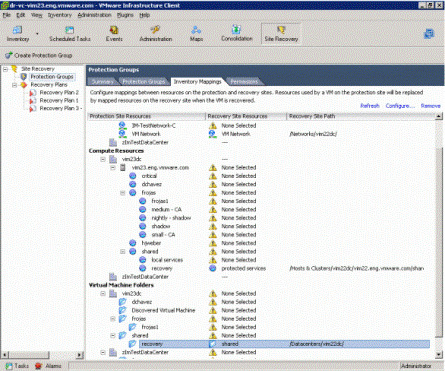 With iVirtualization HP offers a the virtual console which can handle several environments (e.g. VMware, Citrix.) each with their multiple virtual machines. eWeek reports that HP will start selling and supporting Parallels' container virtualization technology, Virtuozzo, with its Integrity server line-up, starting today. Veeam Software, known for virtualization management tools and its FastSCP file management freeware for VMware environments, has acquired nworks, a maker of "enterprise management connectors"